The game of moving your brush the right way! 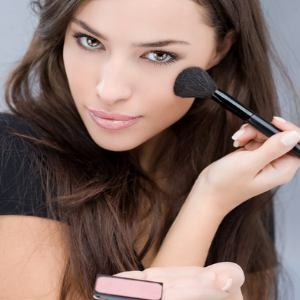 Application of Base makeup or foundations is an essential part of every makeover without which you can’t proceed to blush your cheeks or to shade your eyes. This is very simple just mixing of shades and right use of sponge and brushes. 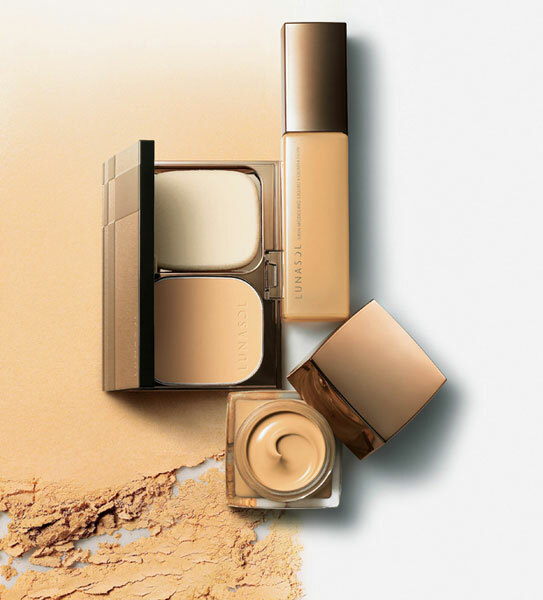 So today we’ve got for you, a modern way of applying foundation that is actually been used by the makeup artist from early 90’s. Let’s explore their technique! 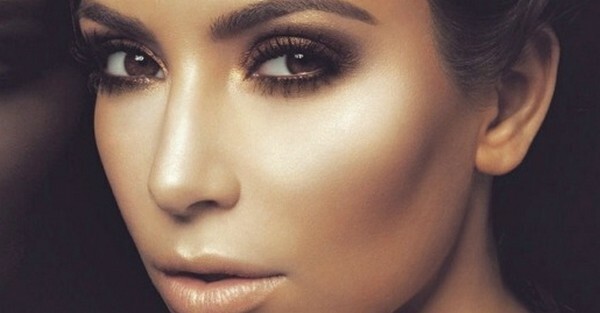 The most needed thing that you must know is the face frame of contouring, the sections of your face to be defined and the sections to be highlighted. This is very important that you see the images from this point before applying anything so that you can understand what you’re going to do! 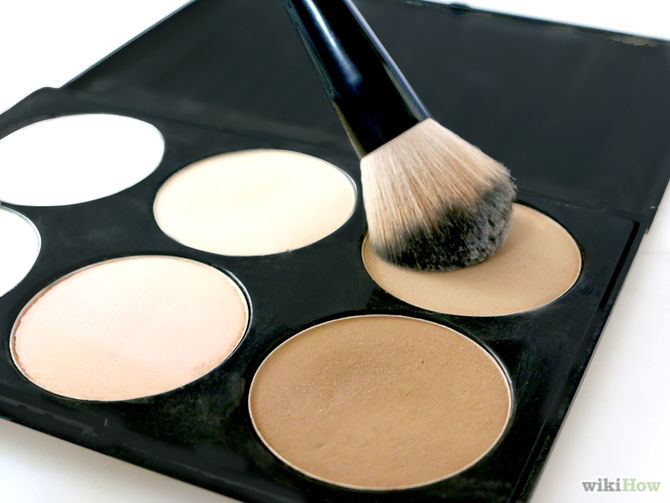 Let’s now start with the concealer, take your concealer and apply it to the spots, blemishes or dark circles to hide them and blend slightly. 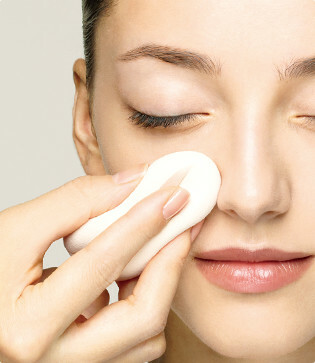 Better to apply it in stripes shape with a sharp/thin brush and blend it with finger movement. 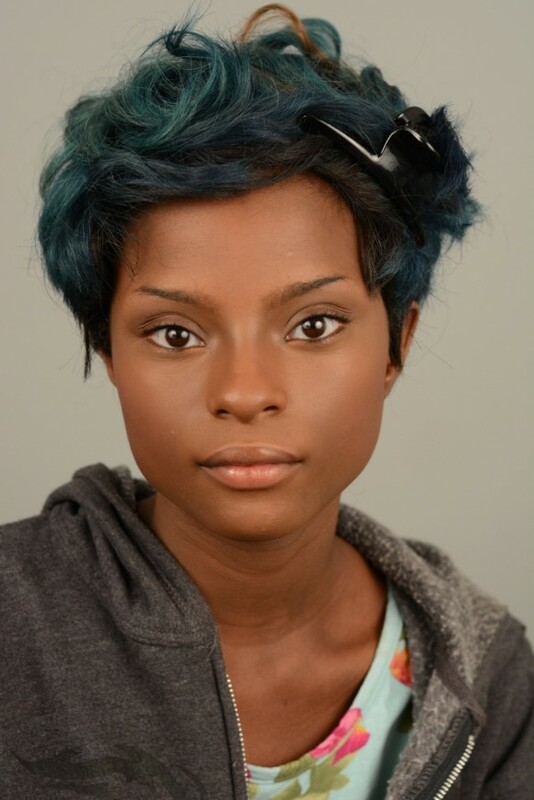 As described in the pictures of 1st, now you have the start highlighting certain sections of your face. 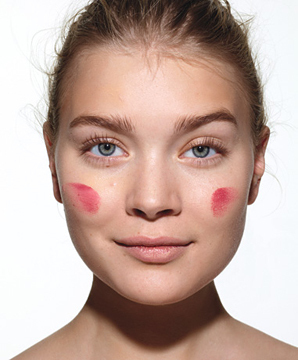 So pick up a foundation 1-tone lighter than your natural skin tone and a medium brush to start this step. 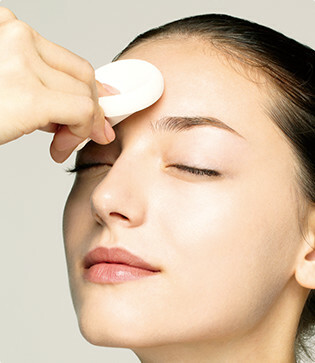 Put on this tone of base makeup underneath your eyes in the shape that is covered by a pilot or round shaped sunglasses; smear it on your chin; then apply it over the bridge of your nose dragging this shade towards the forehead and forming an upside down triangle of shade on forehead as shown in the pictures; and apply on the area over the cheekbone. 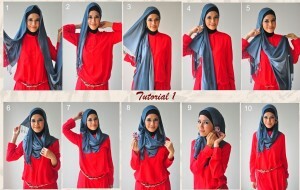 After applying on these mentioned sections, soften the edges of sections shaded. 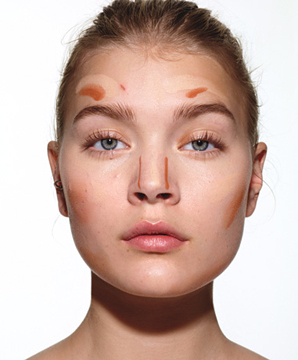 Time to define your face features with the base makeup! 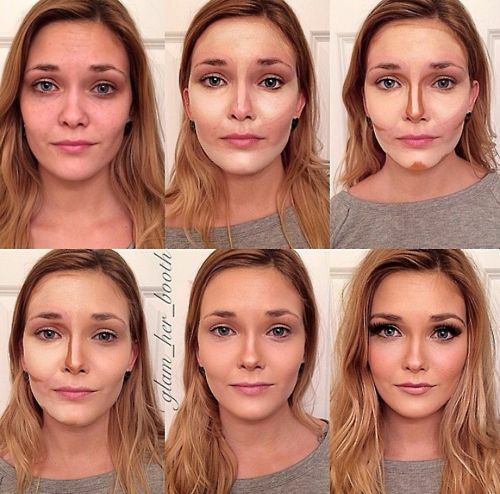 So grab a foundation 2 or 3-tone darker than your natural skin tone and a brush. 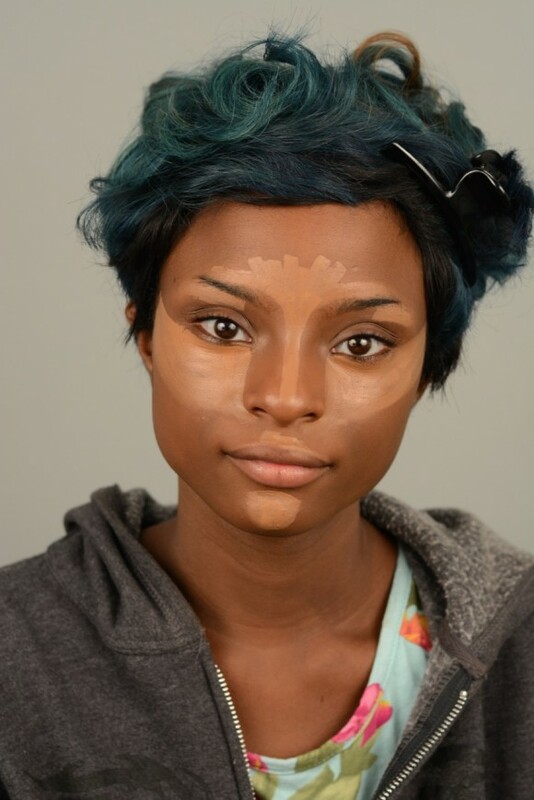 Put on this darker contouring foundation under the cheekbones, on both sides of your nose bridge, underneath your jawline, and near your hairline on the forehead. 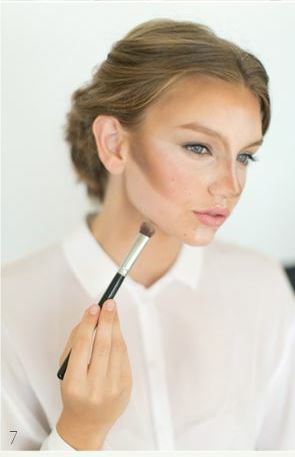 Now, as you’ve applied both the shades of foundations, so blend and blend the edges of the shaded section, soften the tones and contour well making it look natural. 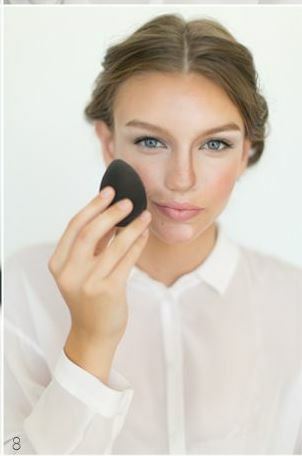 Look in the mirror and see if you can find any spots that are still showing up if yes then cover them with the lighter tone or concealer and blend it matching with the base. 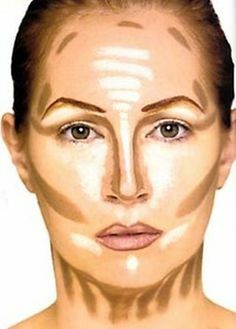 Contour well until you make it settled over your face. 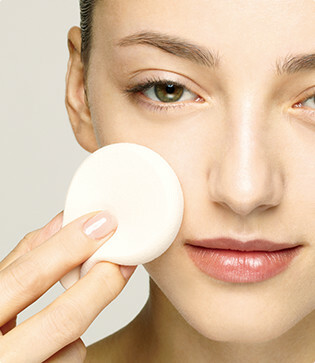 Finish with a thin layer of face powder or translucent powder applied softly with a brush. 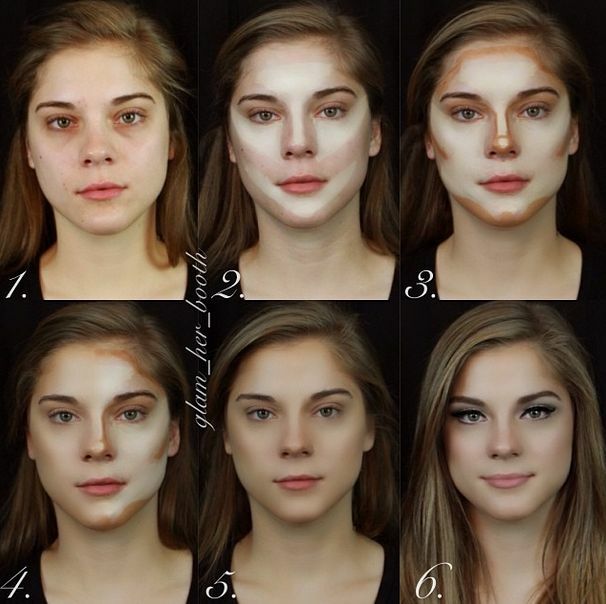 But if you already have dry skin, then skip this step and you’re done with the base makeup and ready to continue with the rest of the cosmetics. 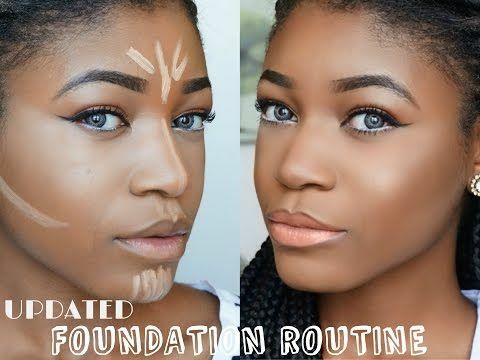 We hope this tutorial would help you guys in preparing your base with your features well accentuated and skin well evened. 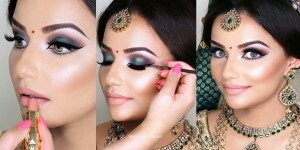 Find more details, pictorial tutorials and inspirations on base makeup in the images below!